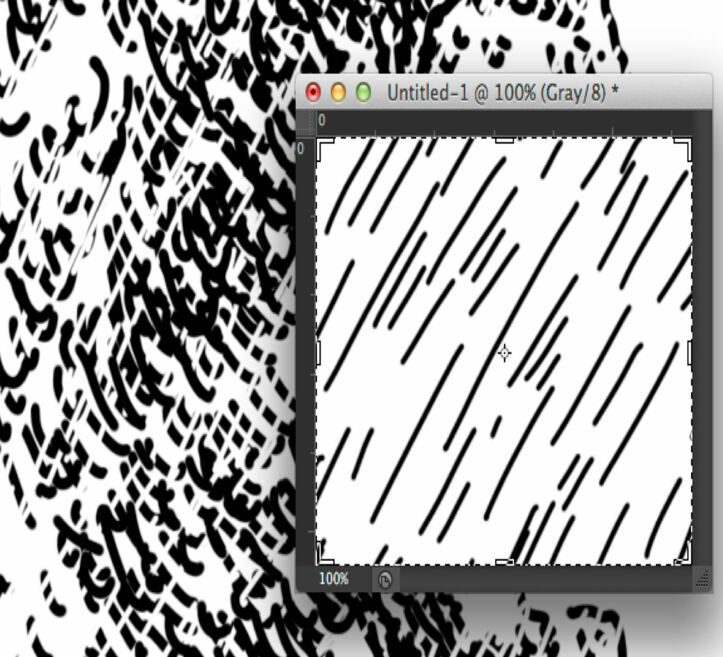 (1)In a similar fashion to setting up all the previous patterns, open a new canvas, set the Resolution to 1200dpi, with Color Mode to grayscale. 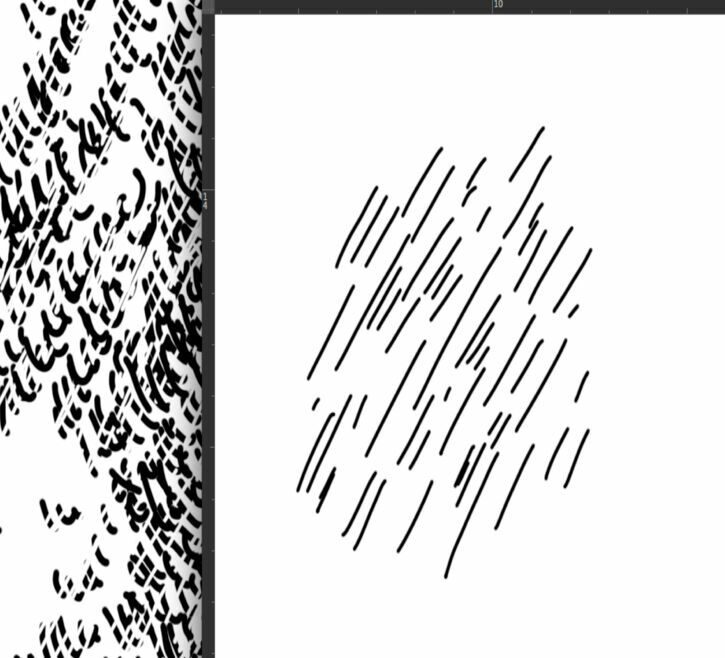 (2)Draw a few Brush Strokes with the same orientation as your scalpel would have. Add some variety in length. 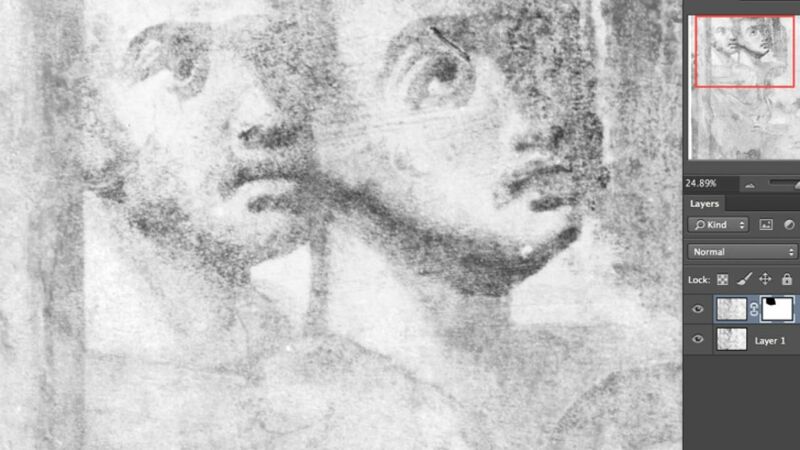 (3)Crop the area around your pattern in a way that no significant white space remains and the texture looks homogeneous. 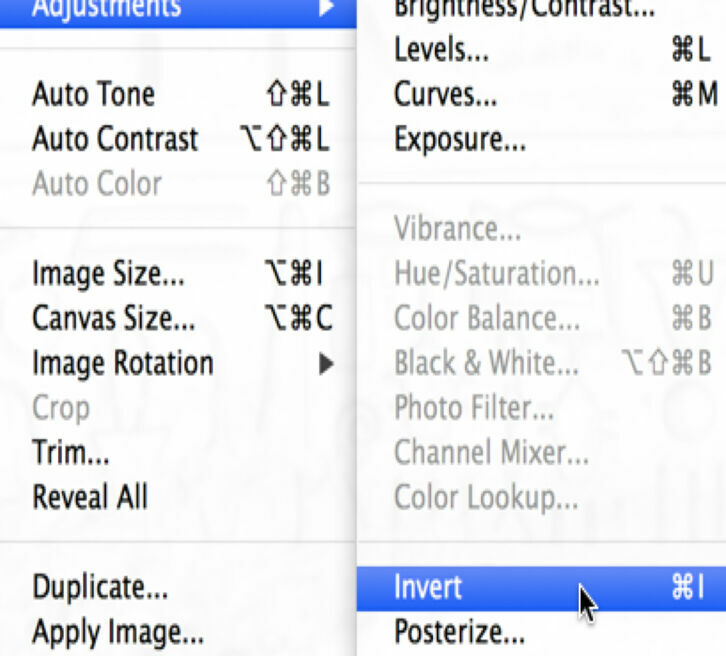 (4)Go to Image/Adjustments/Invert transform your black brush strokes to White. It turns your entire canvas white. 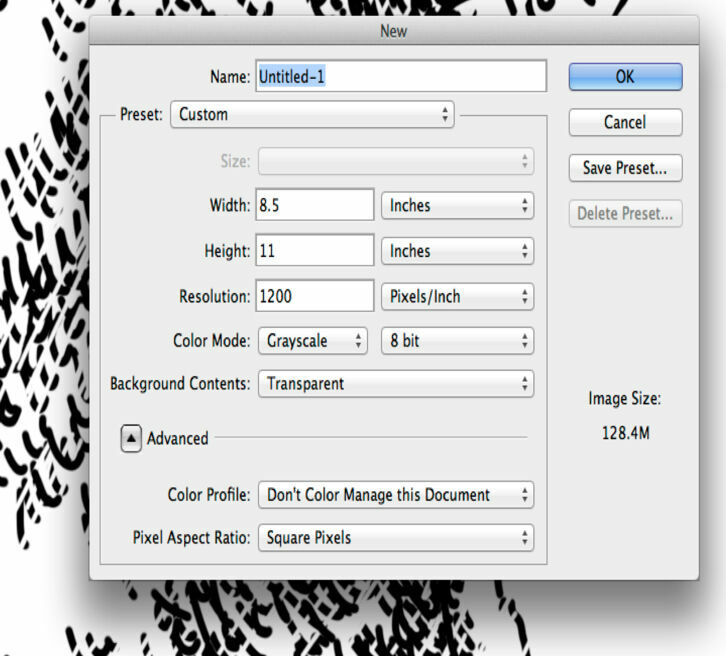 (6)Hover over the Tools Bar and hit right click (secondary click) at the Stamp tool. 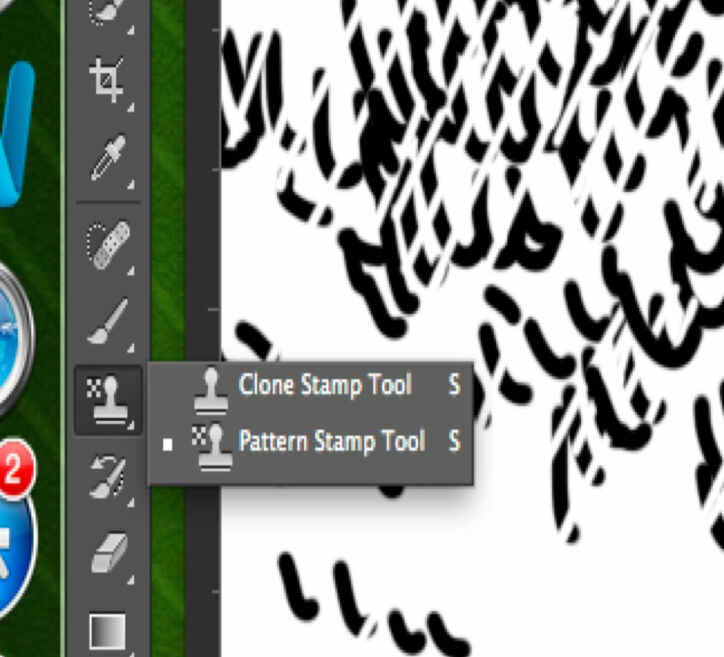 Choose Pattern Stamp tool. 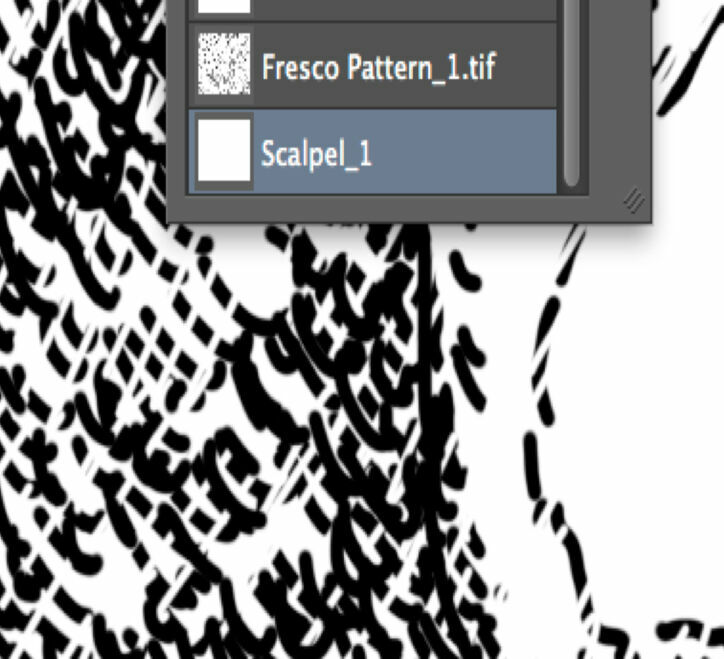 (7)Pick the Scalpel_1 pattern you want to use. 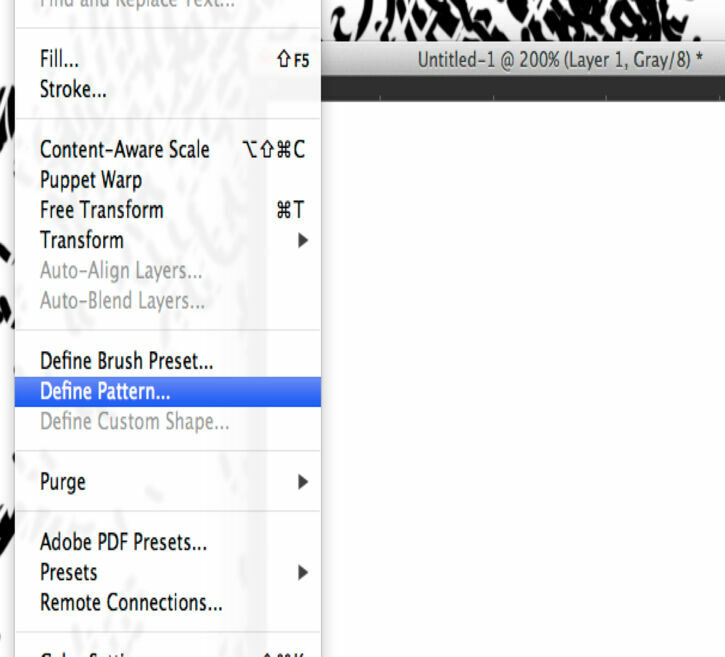 Note that newly set patterns always end up at the bottom of the pattern list. 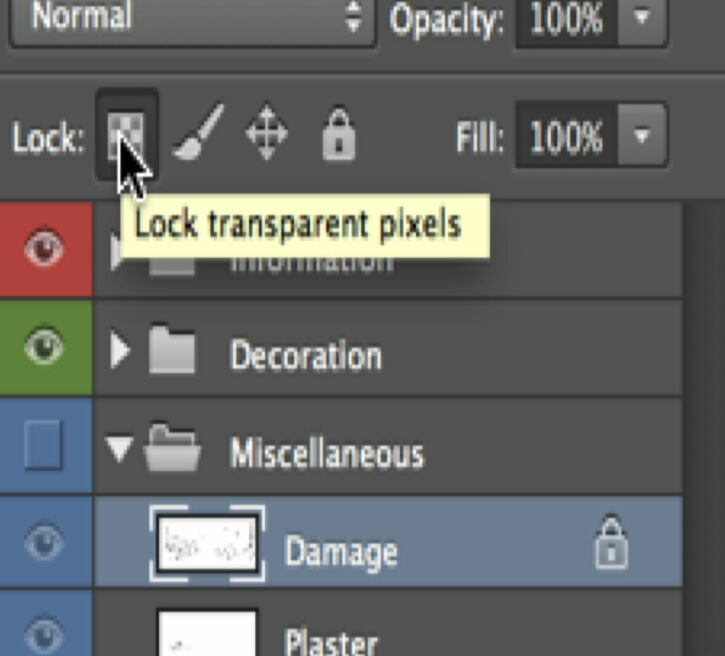 (8)Go to the Layers Panel, and with the Damage layer active, lock the transparent pixels by hitting the ﬁrst tab on the Lock Menu. 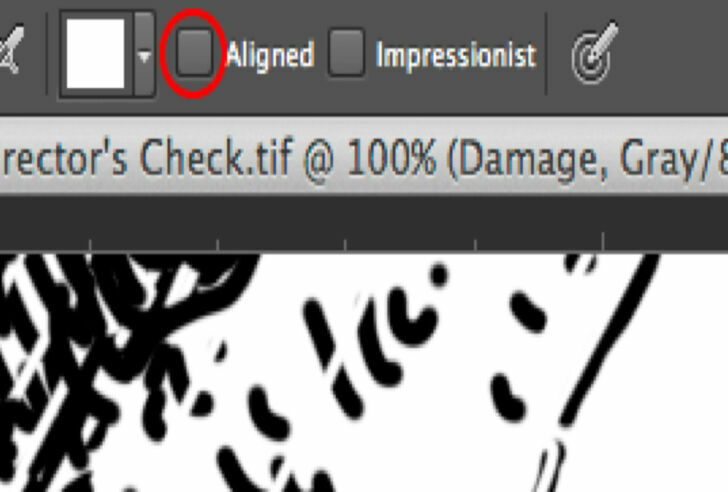 (9)Make sure Aligned is deactivated on the Tools Panel. 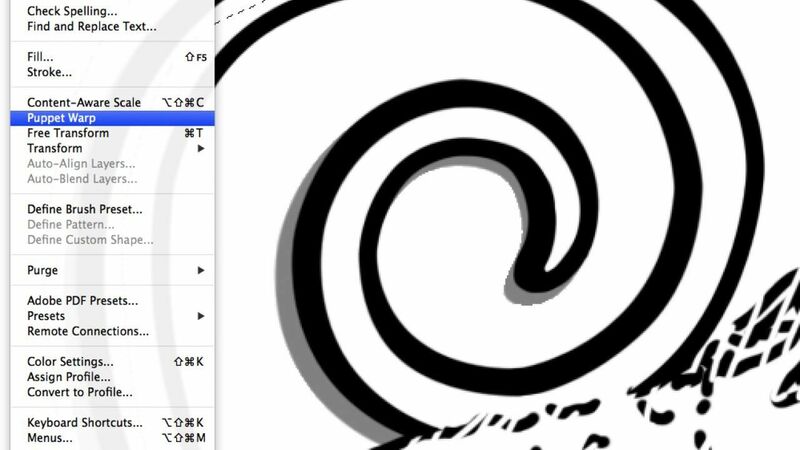 Use the pattern by painting separate strokes over the damage. Layer Masks are one of those Photoshop features that beginners might find hard to work with, although the philosophy behind masks is very simple: masks enable the artist to hide or reveal parts of a layer.